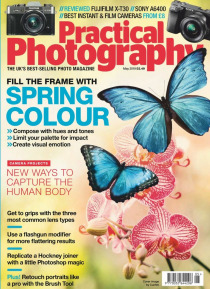 Every issue of Practical Photography is packed with expert advice and tips that will help YOU improve your photography. Each issue contains: - Inspirational and award-winning photographs - The best ‘Technique Guides’ in the industry - FREE feedback on your images - Jargon-free, 100% independent reviews Whatever brand you use (Canon EOS, Nikon, Sony, Samsung, Panasonic Lumix and so on), … our easy-to-follow technique guides will help you get the most from your digital SLR, interchangeable lens camera (CSC), or compact. Note: This 'Lite' digital version of Practical Photography does not contain any interactivity.